The most recent changes have seen a total of 118 schemes removed from the list. Although HMRC never provides the reasons for any scheme’s removal, possible explanations could include a change in the rules governing the scheme, non-compliance with certain tax regulations in the host country or a change in the status of the scheme from public to private. In total, 99 Australian QROPS have been removed along with 15 from India, 3 from Canada and a single Mauritian scheme. These removals represent the third largest QROPS deletion in the history of the schemes. In April 2012, 372 were removed from the list in a single update including 304 from Guernsey, 41 from New Zealand, 28 from the Isle of Man, 6 from Ireland and 4 from Cyprus. A Malta QROPS was removed voluntarily due to a planned winding up of the scheme. 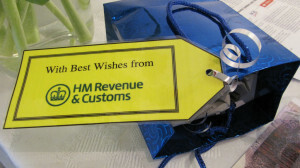 A total of 149 QROPS were delisted by HMRC in February 2010 made up of 110 Australian schemes, 33 from Ireland, 4 from Guernsey and 2 from the Isle of Man. The recent changes have resulted in a total of 3311 schemes appearing on the HMRC lists from 42 jurisdictions. For a detailed explanation of the list, what it means and how to use it please read our guidance.